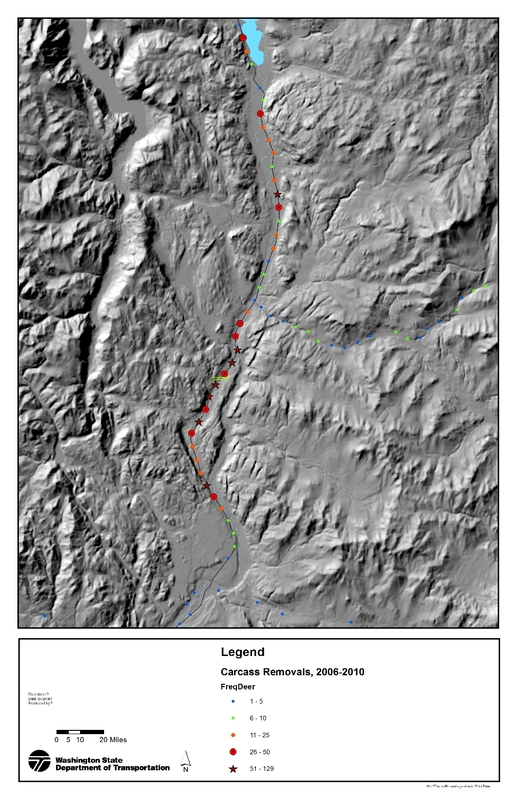 For the 13 mile stretch of Highway 97 just south of Tonasket in Okanogan County from milepost 299 to 312, WSDOT has mapped the highest carcass removal locations. This same stretch of highway is an important north-south freight corridor and is within the Okanogan Trails Scenic Byway. In an attempt to improve safety in this location stretching from Riverside to north of Janis Bridge, a series of wildlife underpasses and complimentary fencing has been proposed by WSDOT for consideration. Improving safety in this 13 miles would be conducted in a phased approach with a series of underpasses and associated fencing with long-term monitoring and maintenance. WSDOT is interested in hearing from the public and working with landowners within this area as they explore options for improving safety. 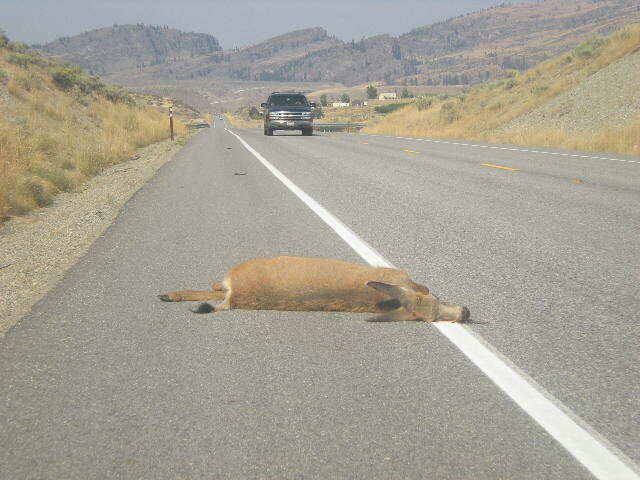 Currently, WSDOT proposes that the most effective way to reduce deer-vehicle collisions in this high collision highway segment is through installation of fencing, underpass culverts, escape ramps, and cattleguards at intersecting roads. This summer they are conducting a preliminary planning effort on a 4-mile first phase of design and construction to improve safety on the portion of this corridor with the highest density of roadkill. This phase would include 3 wildlife underpasses and fencing. Fencing at some level is necessary to direct wildlife to these new underpasses. This website will be updated as details from this preliminary planning are released. Following this initial first phase, additional planning to ensure safer passage throughout the full highway corridor will continue to guide additional measures in coordination with the community and learning from the success of the initial phase. For more information contact us (info@safepassage97.org) or Kelly McAllister of WSDOT (mcallke@wsdot.wa.gov, (360) 705-7426).